Today I have a little interview with the lovely Tara of Tara's Talons for you. Tara runs a nail art blog (broken link removed) as well as making a huge range of gorgeous nail polishes, which you can see on her website (broken link removed) or purchase in her Etsy (broken link removed) and Folksy (broken link removed) stores. I'd also recommend following Tara on Twitter (broken link removed) as she really is lovely to have a chat to. Personally, I can't wait until I finally get a job and can purchase a few of her pretties - so many to choose from! What's Tara's Talons all about? What do you do? 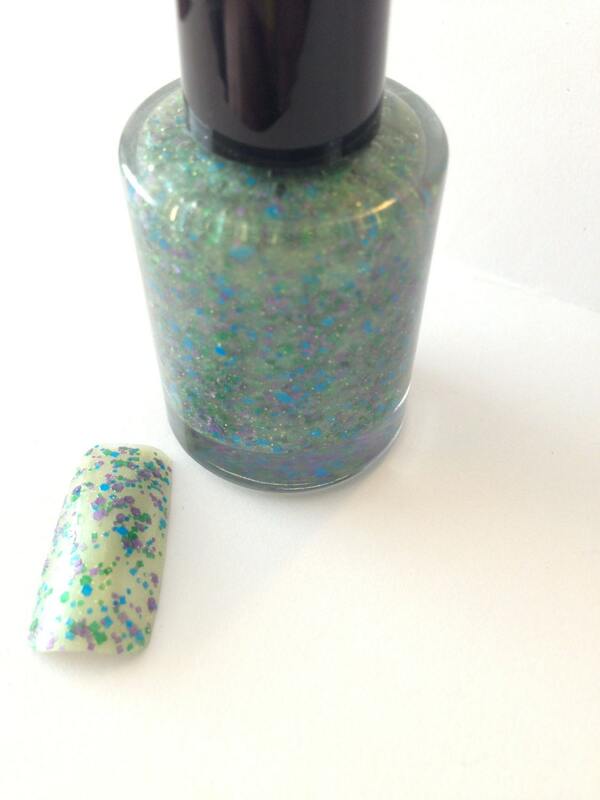 What made you decide to start making and selling polish? Did you own any indies before you started making polish? Which ones? TarasTalons started in 2012 as a blog about nails which I was doing while I looked into doing nail courses to become a nail tech. While I was getting into the blogging community I fell in love with indie brands but having just taken voluntary redundancy and paying for courses I couldn't really justify the shipping and customs charges so I started looking for UK brands and came up against a brick wall. I spent months doing research, spending my redundancy pay ;) and practising making polishes, and fell in love with doing it. I announced I was going to start my own brand of indie polish and got a massively positive reaction! It was around a year from me researching everything to actually releasing a collection. My first collection of polishes was limited edition with only 10 of each polishes and since then I have only created one off and custom polishes! I love creating something unique and affordable and that's why I recently started doing 5ml bottles as well as 10ml bottles! I think that paragraph actually answered the first three questions haha! I do ramble when I'm talking about something I'm so passionate about! Sorry! What's your favourite thing about the polish-making process? How do you come up with ideas for colours and collections? My ideas for colours and collections come from so many places! My phone, my diary and my notebook are always full of scribbled notes! Sometimes I get a colour idea first and a collection comes from it, sometimes I get a name or theme first, my brain is very random! Everything inspired me though, from a dessert in a restaurant, a dress someone is wearing in the supermarket or a film I love. My collections have varied wildly! There was a childhood collection based on everything I loved in my childhood, a songs collection, mythical collection, sweet treats, Criminal Minds, Romy and Michelle's high school reunion and many more! Since the 1st of April 2013 I've released 36 collections and 24 duos! What's been your favourite polish you've ever made? I love all my polishes and hate choosing a favourite ;) but when I'm asked I always have to say 'Clowning around' which was part of my first collection because it was the first polish I made! If you could sum up your shop in five words, what would they be? To sum up my shop in 5 words I'd say unique, affordable, fun, sparkly and random! Tara has also very kindly offered up a discount code for readers; to get 10% off any order in her Etsy shop (broken link removed), just enter the code 'JUSTJESS' at checkout - there's no expiry date for this code and no minimum spend! If you do place an order, I'd love to know what you choose! At just £6.50 for 10ml bottles, and £3.50 for 5ml, there's really no excuse for not picking up something gorgeous and exclusive. 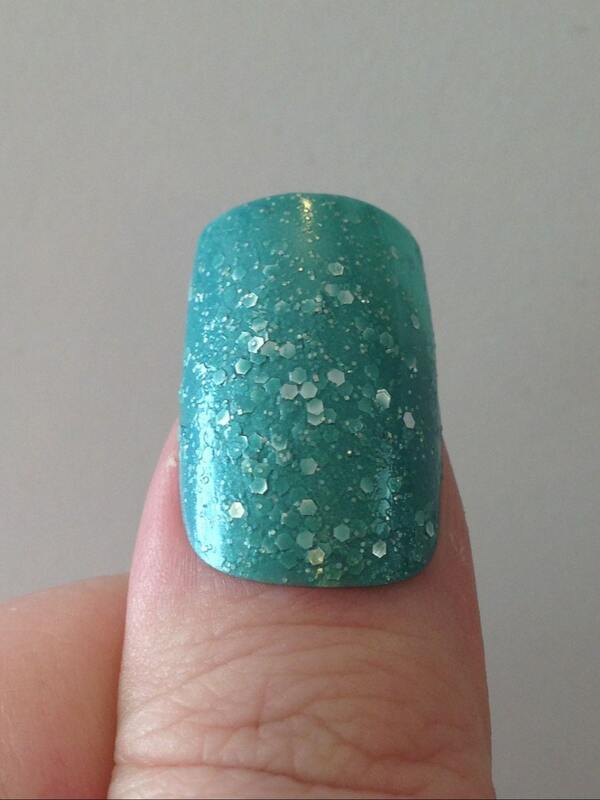 I'm seriously in love with Polish is Thicker Than Water (shown above; broken link removed) so hands off that one! Have you heard of Tara's Talons before? Are you as amazed as I am at how creative Tara is!? Oooh, I love bright nail colours like this and love seeing different artwork and colours blended together for something unique! I love all those nails, they look fabulous!